Why it matters: The Witcher 3 is, without a doubt, one of the greatest games of this or any generation. 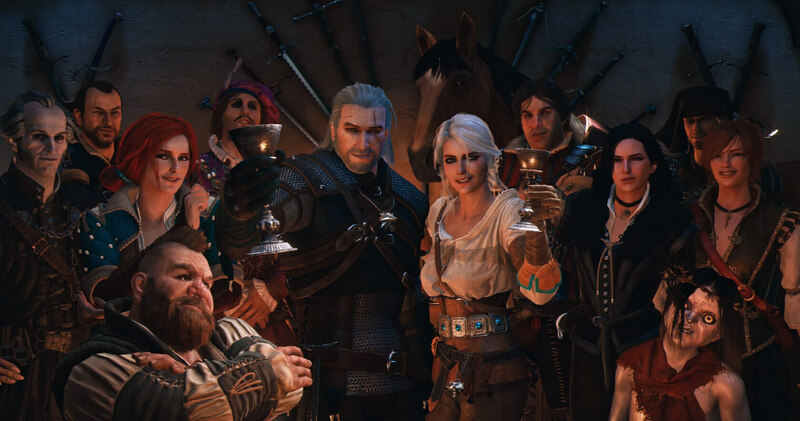 After hundreds of hours spent with Geralt of Rivia, waving goodbye to the monster hunter at the end of the Blood and Wine expansion was a sad moment. But fans of the series have reason to rejoice: while developer CD Projekt Red says we won’t be stepping back into Geralt’s boots again, it isn’t leaving the world of the Witcher behind. In an interview with Polish finance website Bankier.pl, company CEO Adam Kiciński spoke about the possibility of a new Witcher game. He says that the first three titles make up a solid trilogy, so any new entry won’t be called The Witcher 4. "This does not mean, of course, that we will leave the world of The Witcher. The Witcher is one of two franchises on which to build the future activities of the company. Today, unfortunately, I can not reveal anything more." Right now, most of the gaming world has its eyes on CD Projekt Red’s Cyberpunk 2077. As the behind-closed-doors E3 demo was in a pre-alpha state, it could be years before the game arrives. Surprisingly, the studio is working on another title at the same time that’s rumored to launch in 2021, though it isn’t revealing any details. “For now consciously we want to focus on the Cyberpunk 2077, in order not to dissipate our resources and attention of players,” Kiciński said. Having sold over 33 million copies, you can understand why CD Projekt Red doesn’t want to abandon the Witcher series. It’s a shame we won’t be able to play as Geralt anymore—though you can take control of him in the upcoming Soul Calibre 6—but returning to his world will be worth the wait. If you haven’t already seen it, check out the 10th anniversary Witcher video below, which should get you in the mood for the upcoming Netflix series.